Buy online our clothing and fashion fabric Pois Intreccio Decoupè 003-01. Black and white Chanel style fabric with maxi dot pattern for jackets and dusters. 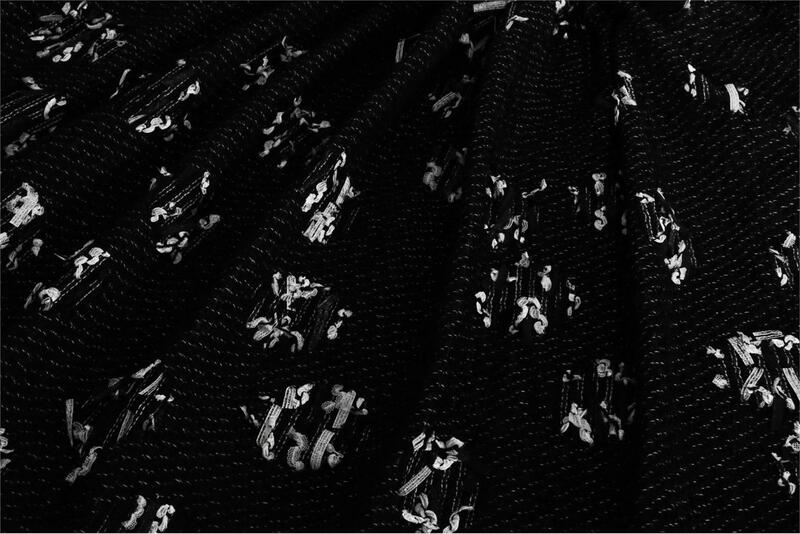 Black Mixed Weaves Bouclé/Weave fabric for Jacket, Light Coat.